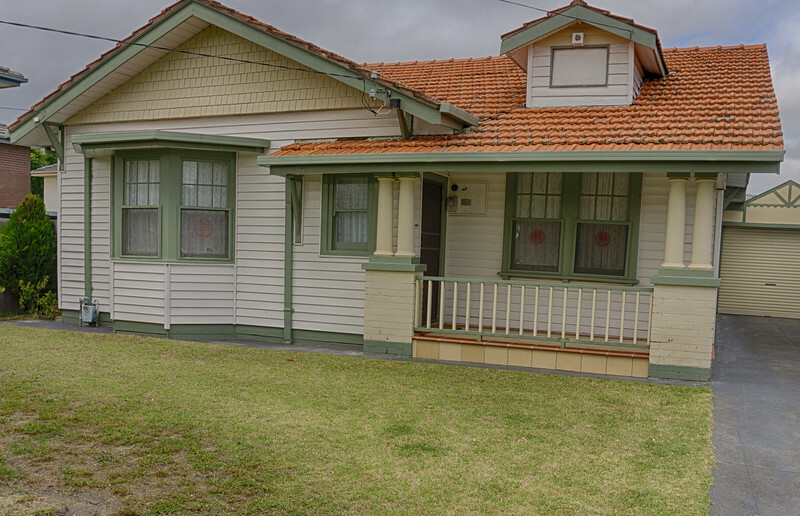 This inter-war home is one of thousands built in Melbourne from 1910 to 1939. They were attractive, inexpensive to build and featured 12-13 foot ceilings. Usually, the front roof was sloped to a single story level, but often the back roof level was elevated to conceal a two story section of the home. This second story was often added as the occupants required more space for growing families.